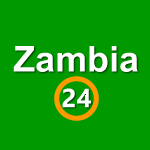 TRYNESS TEMBO, Lusaka THE Tobacco Board of Zambia (TBZ) has embarked on the promotion of Zambian tobacco on the global market to attract foreign investors and buyers to enhance competition in the sector. Currently, the sector has few players participating in the buying of tobacco from farmers. This is negatively affecting competition in the industry.